I love modern architecture. I took a History of Architecture course at local college and one of the assignments was a "blog" about local medieval architecture samples. 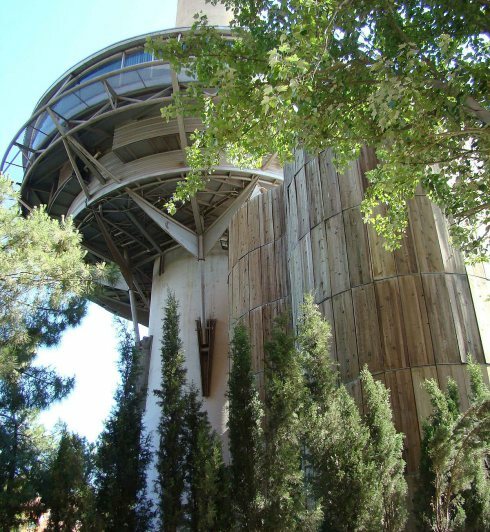 I drove around our community, Palm Springs (Southern California), which is primarily mid-century modern, and find it difficult to see overt medieval architecture influences. So I went to the web and searched for interesting samples from around the world. 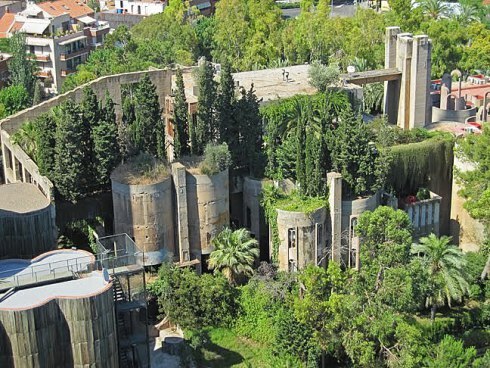 I found a wonderful home, of architect Ricardo Bofill, in Barcelona, Spain that remade a cement factory into a modern medieval castle/home/office for the architect and his family. 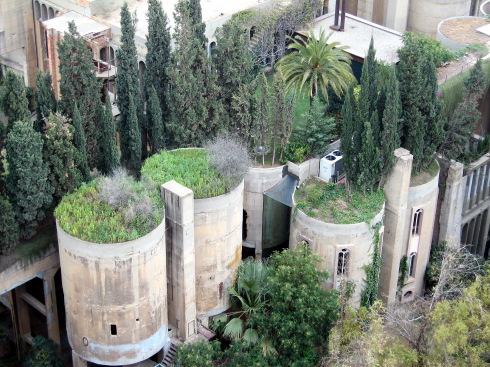 The architect used the original architectural elements of the factory, like the 30 silos that he redesigned to look like castle towers or turrets, transforming the former factory into a modern and very beautiful medieval castle (see photos below illustrating the transformation before and after). 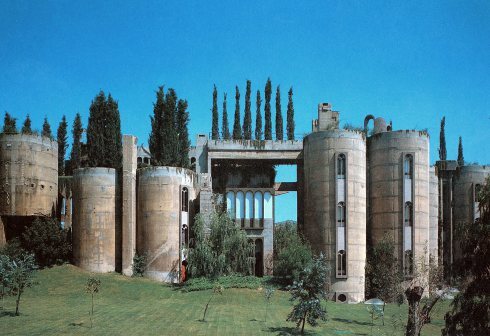 Bofill incorporated arched windows into the factory's silos, to further create the medieval castle theme, evoking turrets. 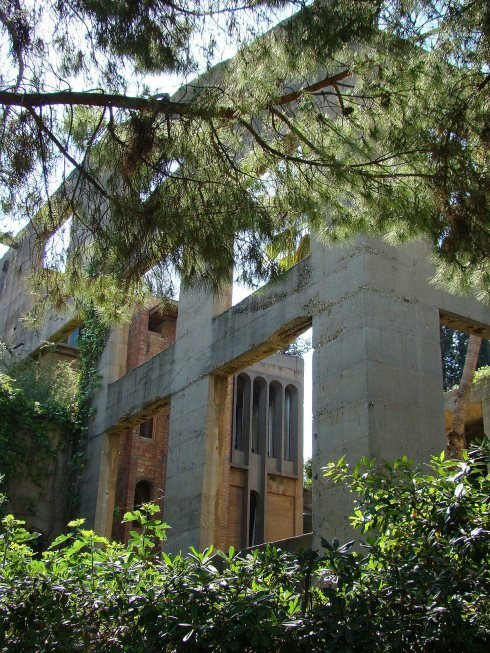 The arched windows are seen throughout the property. 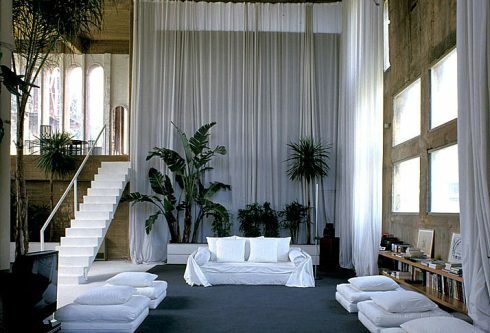 I love the interior. 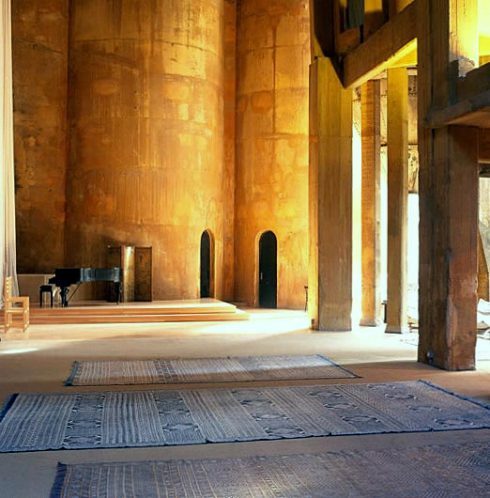 It is furnished very minimally as modern design often is, but the extensive concrete with the arched windows creates truly a unique contemporary experience (see photos at bottom). I especially LOVE this photo below. 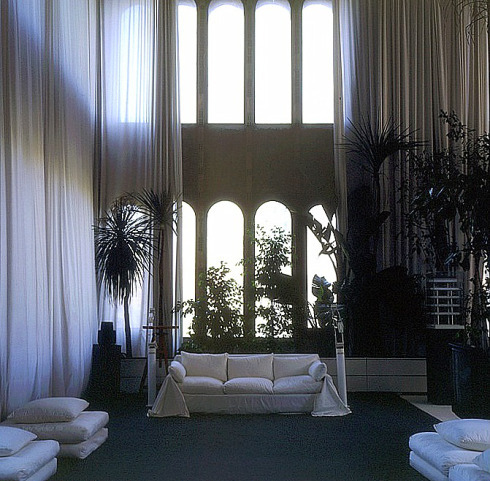 Note how small the grand piano (at bottom left hand corner) seems in this grand room. 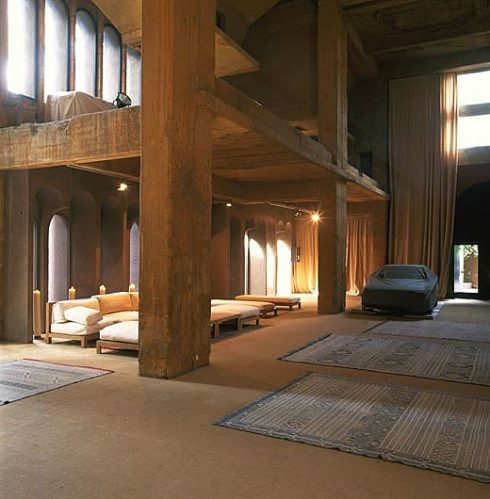 Nothing else in the room but a couple of rugs, and concrete. Which accentuate the arches. 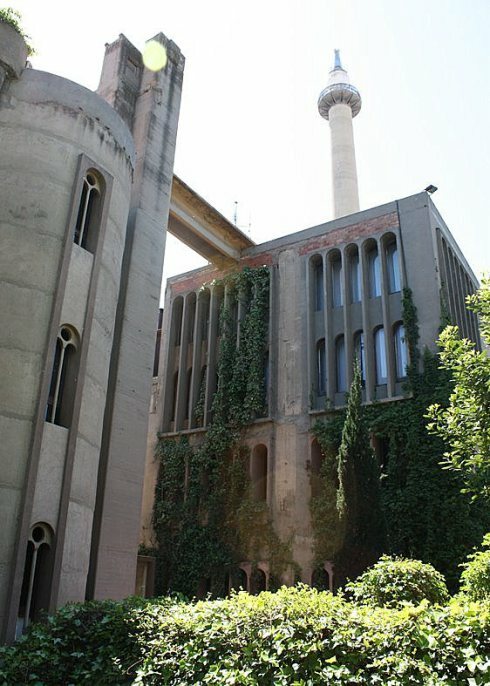 Note the model at the right side of the photo of one of the architect's skyscraper designs. 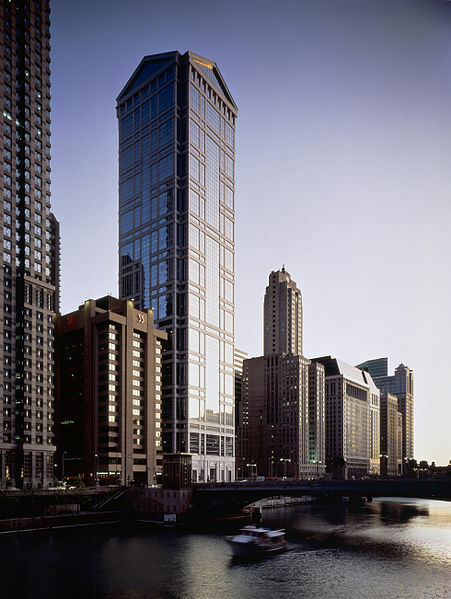 The United/Continental Holdings headquarters building in Chicago (the photo of the completed skyscraper is below). 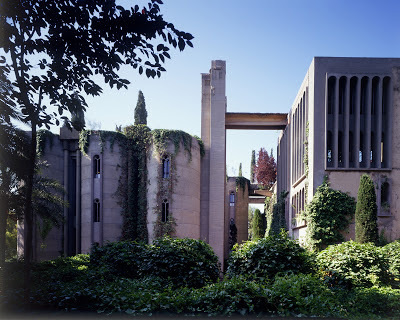 Bofill is a world-renowned post-modernist architect. To learn more, read here. 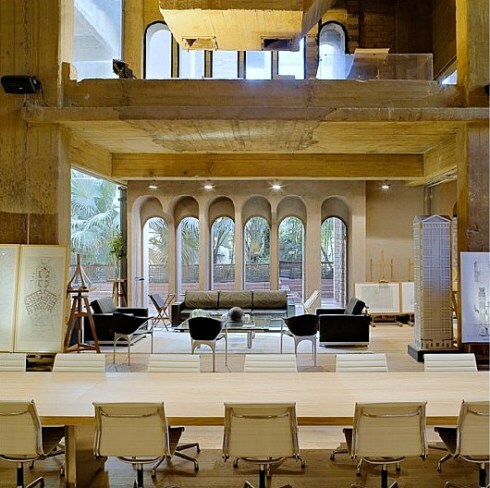 He started his architecture firm, 'Taller de Arquitectura', in 1963. I'm not a big post-modernist fan, but I have to say I love what Mr. Bofill did with his house, which is known as "The Cement Factory." 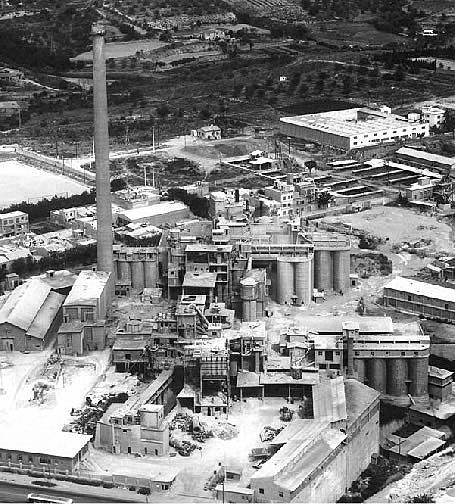 I think The Cement Factory is the perfect example of how a structure, which was completely utilitarian in form and function, can be transformed into a very elegant, contemporary home, that is both warm and inviting. 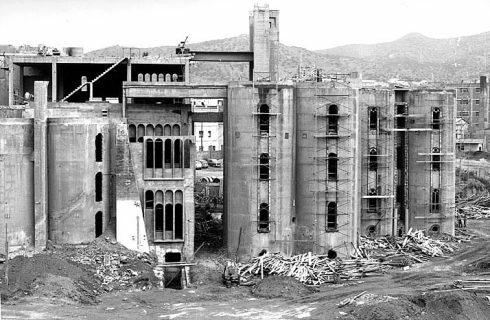 I would imagine that when the architects originally designed the factory they would have never guessed that it would one day become a residence. Certainly not one that is this beautiful. And he did so using the original structure in its entirety, accentuating it's austerity and adding simple features to make it seem like a medieval castle. It is a very strange pairing of modern/medieval design which is spectacularly successful, in my opinion.